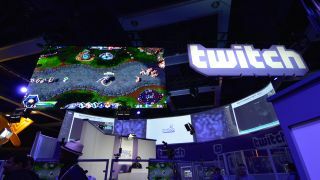 Twitch is on a meteoric rise thanks to the increasing interest in live-streaming videos (and watching said vids). Now that Amazon's bought the barely three-year old company, you can probably expect to see some changes very soon. Whether these changes are good or bad, is still unclear. You've already heard our reactions from both sides of the spectrum, though there's primarily been positive feedback about the acquisition compared to the uproar over Facebook snatching up Oculus. Now let's hear a bit more from Twitch itself. The company held a quick little virtual town hall the day news broke about the deal but we went one-on-one with Twitch's PR Director Chase (just Chase) to see if we could find out a little more. TechRadar: Can you tell us a little bit more about how Twitch will be a part of Amazon and vice versa? Chase: The big thing for us is that Emmett will stay on as CEO, we'll be able to retain our leadership and our culture. Right now the whole thing is about acceleration; Amazon's going to help us do what we already do, but do it better and faster. TR: What changes can we expect to see? Chase: At this point the brands are just getting to know each other. We're not speaking to the roadmap just yet. What's really important to us is do right by our community. I don't think we're going to be going through any changes that will make people want to get their Twitch-forks out. TR: What can you tell fans to alleviate their fears? Chase: Amazon has acquired companies before and they've let them run their companies the way they see fit. So we've seen the autonomy happen elsewhere so we're excited to see that happen with us as well. They understand that our company is driven by our community so they [Amazon] know they we have to keep doing right by them [fans]. TR: Amazon has a big server base. Is this something Twitch is planning on taking advantage of? Chase: It's not something we're speaking to right now but obviously we'd love to be able to take advantage of the resources they have and hopefully that's one of the things we'll see. We talked about acceleration and it could be all sorts of things though we haven't announced anything quite yet. TR: How do Twitch employees feel? Excited? Chase: Oh yeah, definitely. There were a lot of other acquisition rumors and when this came about, there was a collective thought that this was great … it was a lot of "oh, this is cool"
TR: Could Twitch have been able to grow on its own opposed to being bought by a bigger company? Chase: There are many ways to grow, such as acquisitions, mergers, IPOs, staying private and independent. We chose this acquisition because it was best for us and the Twitch community. Amazon came along at the perfect time since they are a company we have a shared DNA and a shared view on community with … one thing that was very important to Emmett that he made clear months ago when acquisition rumors were surfacing: he said, I'm never going to let this company be acquired by a company that doesn't let us retain our leadership and culture. Twitch is still actively hiring and growing its team, with Chase adding that the company would also like to take advantage of Amazon's global reach. It seems the glow of being bought by big business is still sinking in with a lot to work out in terms of keeping fans happy.